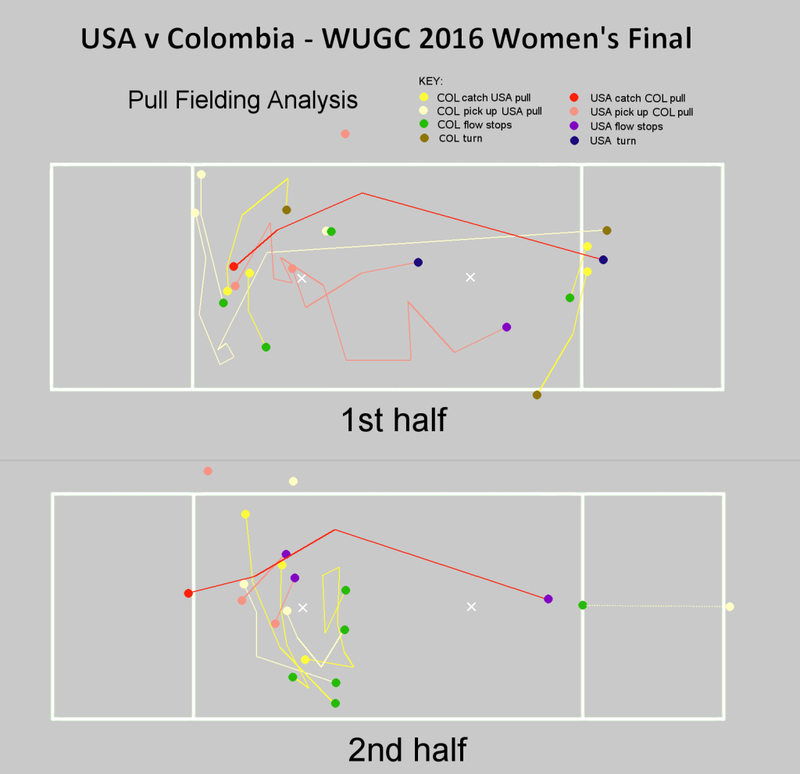 The image below indicates where each pull in the WUGC Women’s Gold Medal match – USA v Colombia – was caught or landed, and the path of the disc up until the point where flow stopped or a turnover occured. For the purposes of this article, “flow” refers to the disc being released within 3 seconds of the stall, with a maximum of 1 fake. This definition is less strict than the one I used for the USA – Japan final (passes made in fluid movement within 2 seconds) – early fakes followed by a throw after 2-3 seconds seem to be far more prevalent in this game. Most of Colombia’s pulls landed in the centre of the field, between the brick mark and the end zone. Colombian defenders generally arrived with simple person-to-person defence, however at 3-1 there’s a (possibly unintentional) poach off a handler, and at 8-4 there’s a clear poach off one of the downfield players in the side-stack – which Colombia use to clog the USA’s throwing lane. 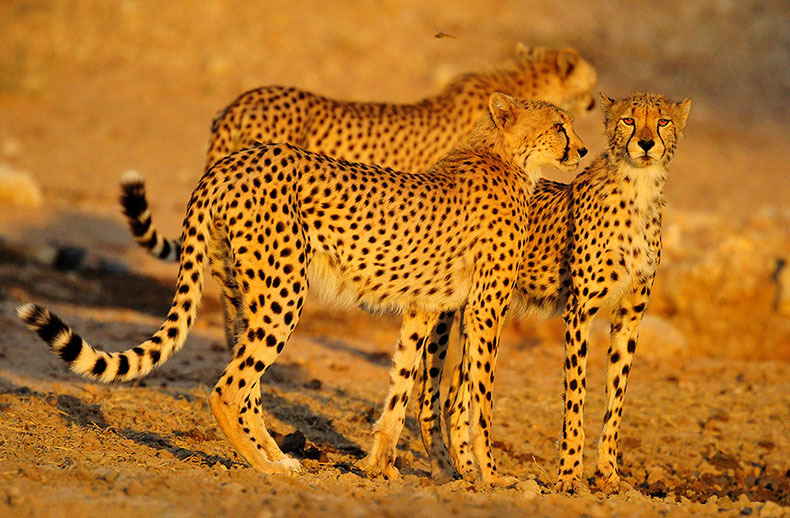 Both instances of poaching led to USA being slowed down with their advance, but not stopped. When Colombia did not poach, USA would execute their pull play near-flawlessly – essentially setting up a side-stack on the flick side, then isolating a first and second cut on the backhand side of the field; #1 catches the pull and throws to #2 who is towards the backhand side of the field. #2 catches and looks downfield for #3 who is isolated. #3 looks to continue to #4, who is isolated deeper on the backhand side (and usually cuts deep). The other three players hang out in a side-stack near the flick-side sideline, and become activated if the play breaks down (or sprint to the end zone to score). In the first point of the game, USA handlers pass the disc to the flick side of the field, and Colombia subsequently get an interception – I put this down to USA having not yet found their routine for the game as this is the only instance when the first pass goes to the flick side instead of the backhand side of the field, and it encounters more traffic. 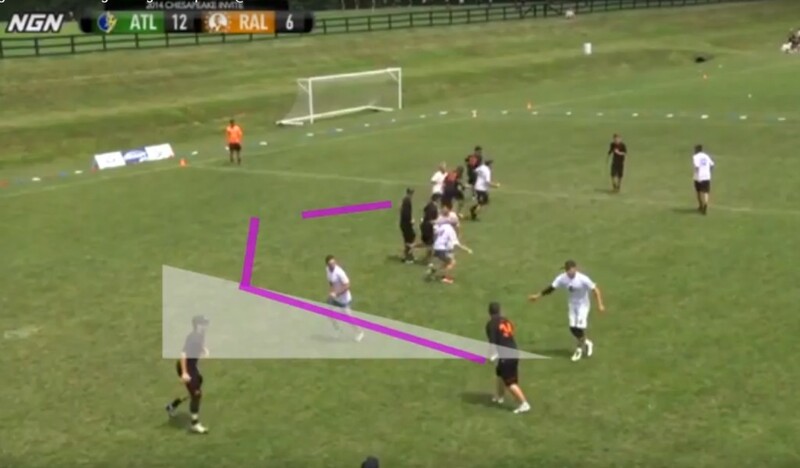 The lateral cut following this by #7 Kami Groom is at an awkward angle, and she does not attack the disc as aggressively as the Colombian defender, leading to the turnover. For every other pull reception, USA follow their flick-side-stack double-iso setup as described above – being disrupted only when Colombia would put a poach in the mix. USA’s pulls came down in a variety of places between the brick mark and the end zone line, and the defence would arrive with person-to-person marks (except for a zonal point at 3-0 and possibly 5-1). USA defenders marking Colombia’s handlers would ‘sag’ off slightly downfield, allowing the disc to swing to their player before closing them down and putting a flat / straight-up mark on. Colombia kept four players back to receive the pull, spreading them laterally across the field. Without fail they would move the disc across to the opposite side of the field after catching the pull. This has the effect of dramatically changing the angle of attack, however results in the disc being nearer the sideline if flow is stopped by the USA. Downfield, Colombia’s cutters seem to be opportunistic – spreading across the field with no clear tendency to stack, the three cutters have plenty of room to work with, and cut into space as they see it developing – often after one of the four handlers pushes downfield (which they were happy to do in a very dynamic manner). The combination of increased downfield space and the disc swinging causing the angle of attack to change frequently makes the downfield defenders’ jobs hard. USA allowed Colombia to swing the disc against their flat / straight-up handler marks. Usually swinging works as a tactic because the angles of attack change so dramatically, but USA defenders downfield were aware of which side the disc was swinging to, and their handler-marks would sag to clog the throwing lane, which stopped Colombia from gaining many yards through flow. USA also managed to get two early-point interceptions, and Colombia’s flow often stopped near the sideline, so USA’s defence can be viewed as a successful counter to Colombia’s offence. USA’s pull fielding routine was well practiced – the disc was moved to the backhand side of the field 5/6 times, presenting the downfield players with a standard look to work from each time. Twice Colombia forced backhand, and these were the two times the USA’s plays were most successful – with two downfield passes being made to the iso players (although one of these resulted in an unforced turnover). Twice Colombia poached, and these were 2 of the 3 times the USA weren’t able to complete their first iso throw in flow – so it’s a tactic which Colombia should have explored further. Poaching off the handler encouraged USA to run handler-led flow for almost the whole length of the field, but poaching off a player in the side-stack prevented the first iso throw and stopped USA’s flow entirely. Forcing towards the side-stack and/or poaching off a side-stack player every time would have been good a tactic for Colombia to employ to try to counter USA’s well-drilled pull fielding routine. Throughout the duration of this clip, USA have a 2v1 advantage in the backfield which they should be looking to maximise. Looking downfield and faking in this situation uses valuable time and energy, so must have a clear purpose – ideally one that ultimately plays to the 2v1 advantage. #52 Claire Chastain‘s play in this sequence is excellent – her first fake unbalances her mark, giving her an advantage which she immediately ‘cashes in’ on with a give-go move towards the near side of the field. She then tries to set up #18 Leila Tunnell to attack the far side of the field but they’re not quite on the same page. Chastain positions herself to receive the return pass – staying on her toes and moving dynamically. Note #8 Octavia “Opi” Payne on the near-side sideline, recognising the 2v1 situation and being happy not to get involved, leaving the handlers to exploit the advantage themselves. At the end of the clip, the poaching defender arrives and Chastain makes a well-timed throw & go move to counter the defenders velocity and get downfield of her – putting herself in a very powerful position. The Colombian defender’s overcommital suggests to me the poaching may have been unintentional. Chastain pulls out of the throw & go – possibly predicting that #2 Calise Cardenas will look downfield after catching, and wouldn’t spot the give-go move early enough. Sure enough, Cardenas looks downfield and auto-fakes before hitting Opi coming under. Chastain has stayed dynamic & on her toes, always threatening and never allowing her defender to get comfortable, so is able to time her move to get the disc off Opi in perfect flow. Opi’s defender overcommits, Chastain immediately recognises and cashes in by dribbling with Opi, and then times her final fake to get her defender over-committing again. Other than Chastain continuing to initiate flow whenever she can by using her deadly dribbling skills, it’s worth noting Opi’s efficiency of movement – always aware of the positional advantage she has over her defender, never moving unnecessarily, always a threatening option – even when walking at the end she gets ready to receive a pass in the backfield as Chastain pivots infield. At the end of the clip, flow stops when Chastain doesn’t have an option to cash in on after faking her mark out – possibly another fake aimed at #2 Cardenas streaking into the end zone (or looking back to Opi) could have created an option of switching the play over to the far sideline, hard to say for certain. USA execute their pull play nearly perfectly – #3 Lien Hoffmann gets free under as the first iso cutter, #6 Sarah Griffith gets free deep as iso #2, however she’s decided very early to cut for huge separation and reception of a flick huck over her right shoulder. She angles her cut slightly to the left corner (to create more space on the right), but gets so free with this move that Hoffmann rightly decides to throw to the left, putting up the immediate backhand huck. Griffith has taken her eye off the play and was expecting the backhand fake leading to flick huck on the right side, so looks over her right shoulder. She quickly realises she’s second-guessed Hoffmann and the throw has already been thrown to the left side – despite overcompensating with her read and putting in a good bid she’s unable to reach the disc. #51 Claire Desmond is free moving into the end zone as Colombia accidentally double-marked one of the USA cutters in the side-stack. Great early read & adjustment from #51 Claire Desmond, who then slows down faster than the Colombian defender is expecting. Check out the speed from Griffith to create separation in the end zone! In 8 seconds USA have advanced the disc 60 yards, despite the pull being the best Colombia made during the game. Nightmare for defenders who chase down the pull & then must immediately turn 180 and sprint back to their end zone. Colombia demonstrate how happy they are to move the disc quickly across the field – they are looking for ways to advance yards through disc movement opening up gaps in the defence, rather USA’s style of hitting isolated cutters from a particular disc-position on the field. You can see USA’s containing defence – each Colombian receives the disc in space, and is then closed down by their respective USA mark putting on a flat force. Note #24 Alex Snyder, after her player swings the disc she drops back slightly whilst matching the lateral movement of her mark, clogging the lane and encouraging a yard-losing pass back to her mark before closing her down again with a flat force – classic ‘sagging defence’ movement. Interesting to note #44 Maggie Ruden on the near sideline (off the field) gesticulating to indicate the direction Colombia are swinging the disc – demonstrating without question that USA were aware of & trying to counter Colombia’s offensive movement by allowing the swings but being aware downfield of which side the disc was moving to. In summary, it’s easy to see how Columbia’s dynamic swinging offensive style got them to the final, however USA had clearly done their homework and were prepared to counter it effectively. USA’s pull routine was very effective and was still being worked out by Colombia, who could have countered it more consistently by forcing flick & poaching off the side-stack to prevent the early iso passes. 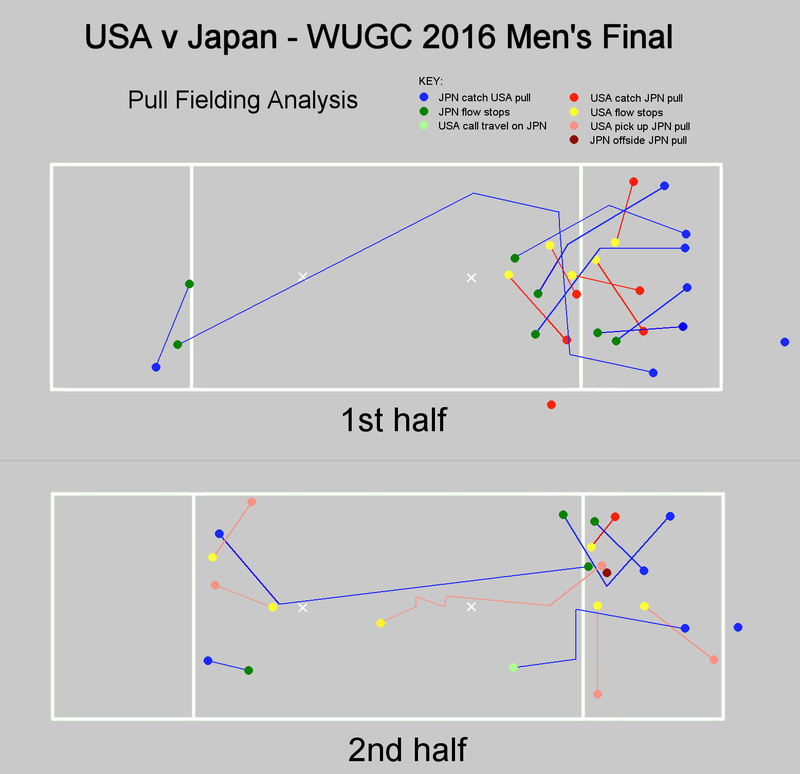 The data below marks where each pull in the WUGC Men’s Gold Medal match – USA v Japan – was caught or landed, and the path of the disc up until the point where it stopped & the defence was set. For the purposes of this article, “flow” refers to the disc being released fluidly within 2 seconds of catching. Japan’s pulls were all outside-in, so sacrificed hang-time and distance in order to make them riskier to catch – more so in the second half. This could have been a tactic to tempt a dropped pull, sacrificing being able to pressure USA’s first pass (which they consistently used to centre the disc). USA caught the couple of more bladey pulls in the first half, but let them land 5/6 times in the second half. Japan’s defenders were reluctant to go past the disc after running down the pull – preferring to clog the USA’s immediate downfield throwing lanes. USA have a very clear pull fielding routine in place – two players hang back, one catches/picks up and passes to the other, who has positioned themselves as central as possible – gaining yards if safe. When the pass is complete, the pull catcher becomes the reset, and the thrower’s focus is turned downfield for the cutters to make the first play. Catching the pull is not of paramount importance in this routine, as seen in the second half when they only caught 1/6 pulls but were still able to get the pass off each time – in fact their least successful centering in the second half was off the one pull they caught. 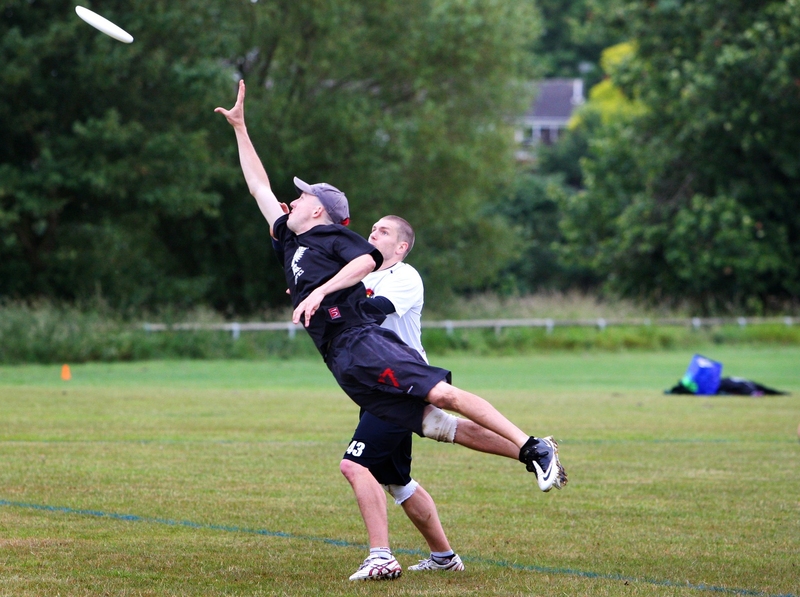 This style of pull-fielding is very suited to the USA’s style of Ultimate – their aim was to present the downfield cutters with a static centralised handler situation, and they executed this practically without fail. 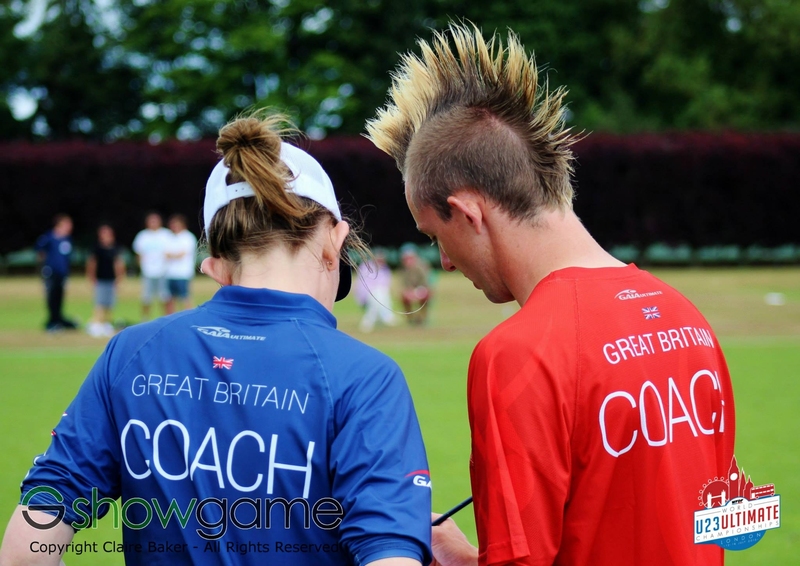 USA’s pulls were all aimed at maximising hang time and distance – and they executed this with brilliant consistency; 9 from 11 of the downwind pulls floating into the back half of the end zone. They would always send one defender down the centre of the field, arriving first and 6/11 times preventing Japan from centering the pull. Japan’s pull fielding was more organic and variable: Three players hang back; one catches whilst another is in a central position, and the 3rd player either provides an alternative first pass, a continuation / flow option after the first pass, or makes an aggressive move. Fielding the pull with three players suggests Japan’s aim was to use flow passes to shorten the field, which they largely succeeded in doing – consistently ending up with a shorter field than the USA, despite the USA’s pulls all being deeper. Twice they scored in flow – once taking four passes, including a lateral / backwards open pass, and once from a two-pass play. USA’s tactic of sending their first defender down the centre of the field to prevent Japan from centering the disc was relatively effective, but Japan fielding the pull with 3 players was a natural counter to this. With 3 players fielding, Japan were prepared to advance the disc past the USA defender who arrives first in the middle of the field, and did so 5/12 times. This was often at the expense of the disc being moved away from the centre, which did not seem like a priority for them, but was definitely one of the USA’s biggest considerations. This organic style & the disc not being centered resulted in a variety of early-point scenarios – Japan’s downfield players seemed comfortable working from these less commonly seen situations, whereas the USA’s downfield defenders would have been unfamiliar defending against them. Japan did not always take the flow passes open to them – there were 7 times when the disc could have been moved laterally or backwards by Japan, but they only took these options 2 times – once eventually resulting in a score, once resulting in a travel call on the next pass. At no point did a lateral or backwards flow pass result in an eventual loss of yardage, which suggests it’s an option they should have explored further. The 5 missed opportunities to pass laterally or backwards all resulted in flow stopping immediately or on the next pass. USA’s pull-fielding routine presented the downfield cutters with a static centralised handler situation every time, which allowed the cutters to get familiar with creating plays from that exact situation. Potential yardage gains with extra passes were sacrificed in favour of centralising the disc, which can also result in a longer field to work with; however this plays to their superior deep game, so it works both ways. Japan may have been more aware of this long-field advantage than USA were, hence why they did not chase down the pull at 10-8, encouraging USA to play with a short field. USA’s relentless routine consistently put them in the position they wanted, so from their perspective was a total success. Japan used more flow passes and resulted in gained yards – which can be viewed on the whole as a success – but questions remain about whether taking more open lateral or backwards flow passes would have resulted in greater yard gains (if this was their aim). Personally I preferred Japan’s fluid and variable style, but think there is much room for improvement which can make it more effective and harder to stop, such as taking yard-losing passes in order to keep the flow going. Generating fluid looks at the start of points – from random places on the field – is hard to play defence against, but arguably hard to play offence from also. USA seem to have nearly perfected their routine, but its standardised nature has a potential weakness in that the defence know what is coming – a static look from the centre of the field after one centering pass. Whether or not the defence can use this to their advantage is another question for another article – we did see Japan clogging throwing lanes and downfield space at the start of points as they attempted to do so in this match, if you’re interested in how effective they were then check out the full game footage. I posted this image to /r/ultimate but it got taken down due to classifying as a joke/meme – against the rules – so here it is! 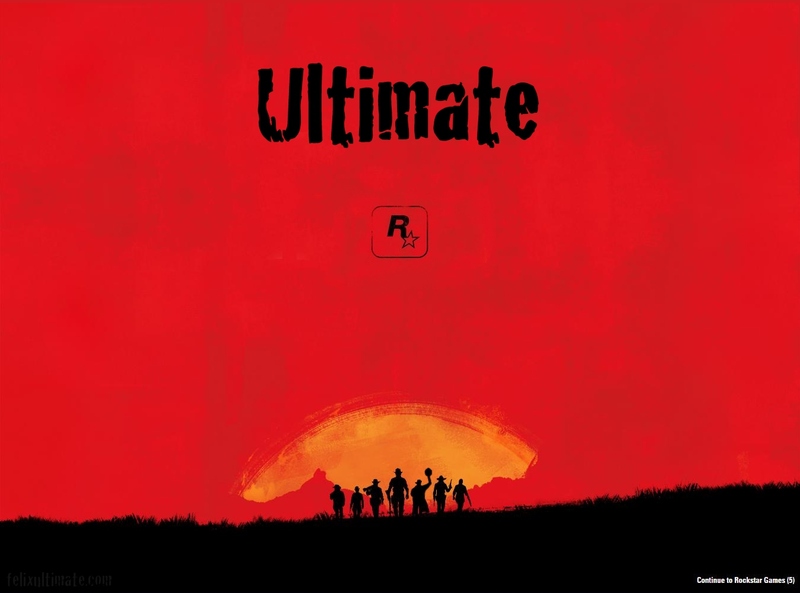 For anyone out of the loop, it’s an edit of the recent image released by Rockstar Games to promote their upcoming Red Dead Redemption 2 game. Clapham with a stifling zone at the start, after the first point Funk had a couple of turnovers, a few points traded and a break for CUSB. 4-4. CUSB show great awareness of the stall count as a team to get a D with the wall and then the stream dies. Comes back and it’s 6-4 La Fotta. Couple of travel calls. La Fotta with a zone, some fouling on the mark from Davide. Ashley Yeo with another score from Justin, 6-5. Huge Justin sky after a floaty CUSB huck – will be a good photo! Timeout. Long possession with only short passes, Clapham work it up the line and bring it level, 6-6. Stream dies. It’s back and I’ve missed a couple of turns, then Chris Baker sends a flick skyward but gets saved by newcomer Connor McHale. Contested foul. Conrad Wilson with the Clapham score, 7-6 Clapham, then they take half 8-6. Justin with a layout catch on a lateral cut, then a big hammer across to Ashley Yeo who lays out big for 9-6. Deep throw by CUSB just out of the reach of defender Garner, 10-7. Clapham timeout on stall 8, they get out after a false re-start, Stobbs cuts up line for 11-7 score. Floaty mistake mid-field from La Fotta and Clapham sustain their offence outside the end zone to score, 12-7. Tom Abrams with the layout D on Davide, quick move up the line for 13-7. La Fotta trapped at the back of their end zone, manage to complete a huck but then another unforced error on the next throw. Clapham bomb it deep to Andrew Jackson for another goal, 14-7. 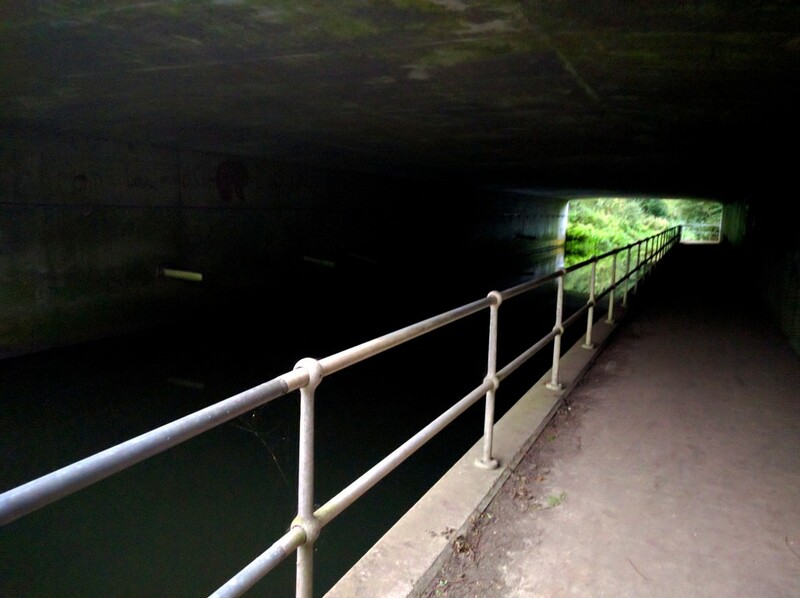 Stream is dropping in and out quite a lot. A couple of turnovers before another unforced error for La Fotta, this time on their own goal line, and Clapham pick it up quickly and slot it in for the win! 15-7, Clapham are EUCF 2016 champions! CUSB Shout put in a good performance against Flying Angels in the women’s final, with Eliza Frangalini making many huge grabs for them, but FAB’s experience shone through as they closed the game out 15-13. The match turned into quite a huckfest, both up and down wind, many contested catches and D’s in traffic. After a fantastic domestic season where they took the UKU Nationals title, Reading secured their first EUCF title by defeating the very young team Grüt (FC Airborn, Netherlands) in the Mixed Final – this Reading side are incredibly strong and didn’t have many problems, dealing with the unpredictable and brave offence of Grüt – 15-8 the final score. Tchac’s fairytale rise gets firmly stopped by the UK powerhouse. Tchac’s unconventional style got them a few points and some incredible layout blocks, but Clapham seemed solid and confidently put away the game. Clapham’s Justin Foord connected with Ashley Yeo for the winning point. The firey Italians, after a heated battle with Switzerland’s Freespeed in the quarter, had the edge on Germany’s Bad Skid and secured their spot in the Final for the second year running. 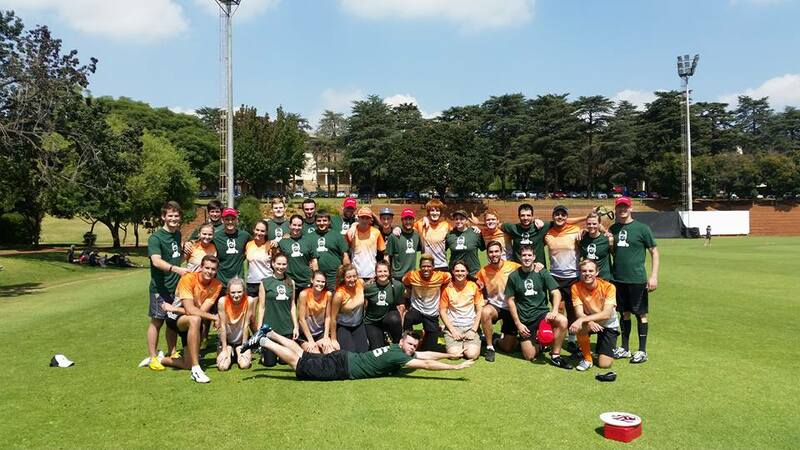 Clapham vs CUSB La Fotta is a repeat of the EUCF 2015 final, where Clapham won 15-8. Last year these two teams met in the group stages, and Iceni won 12-11. This time, the Italian side CUSB Shout got their revenge and denied the reigning champions a place in the Final, in another exciting universe point match. Switzerland’s FAB bring the Polish “Troubles” team’s good run to an end with a 5 point cushion. Netherlands’ FC Airborn (“Grut”), with players ranging from 14 – 25 years old and an average age of 19 (the 54-year old coach is one of their fathers) have a very exciting style where they are not afraid to huck to double cuts and find unexpected spaces with their throws, and it paid off for them as they took this thrilling semi final in sudden death against the German Hässliche Erdferkel team. UK’s top mixed team Reading with a fairly comfortable win over the Swedish SeE6 side. 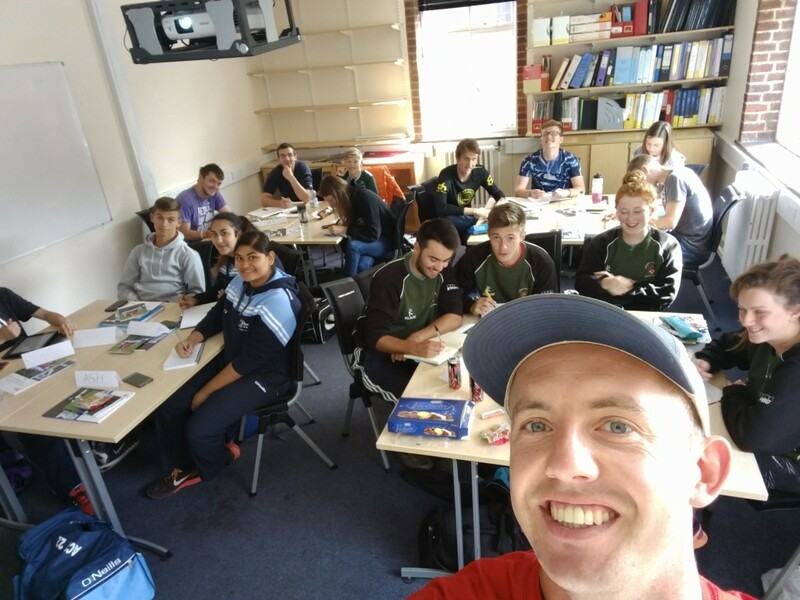 Liam Kelley from the UKU got in touch about running a one-day UKU Level 1 Coaching Course in Southampton, and I figured it’d be a good time to start getting Hex Clinics on the road in the UK! I would deliver the Level 1 UKU Course on Saturday, and a Hex Clinic on the Sunday. 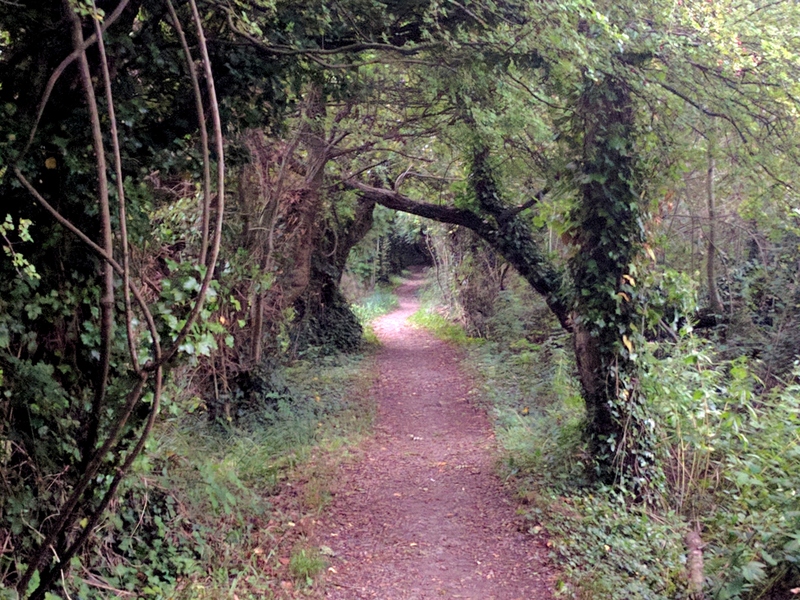 I stayed in and AirBnB in Eastleigh, a couple of miles from Southampton, and rode my bike to the University in the morning. 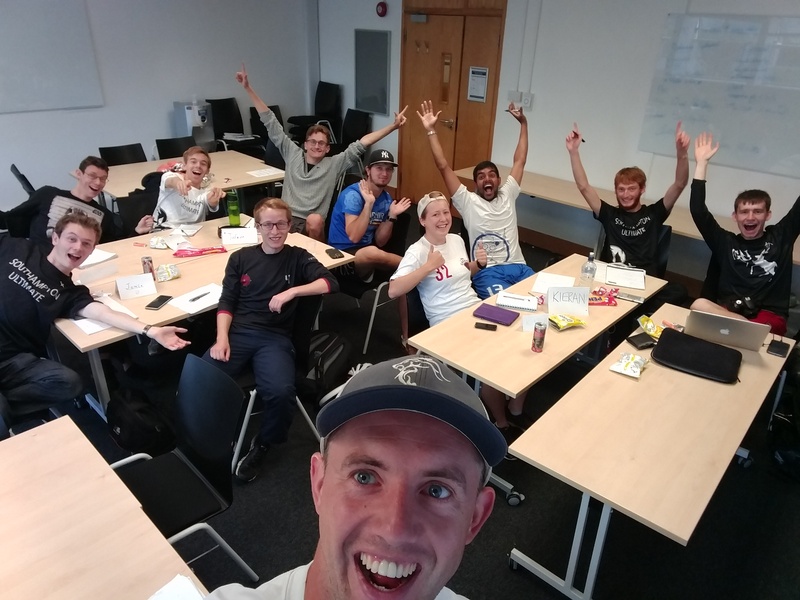 Seventeen people turned up for the L1 course, including captains from St Marys / Southampton / Exeter Universities, Clapham/GB player Magnet, and reps from Guildford including Elliott J – the up-and-coming 15 year old Ultimate-playing-trickshot-star. 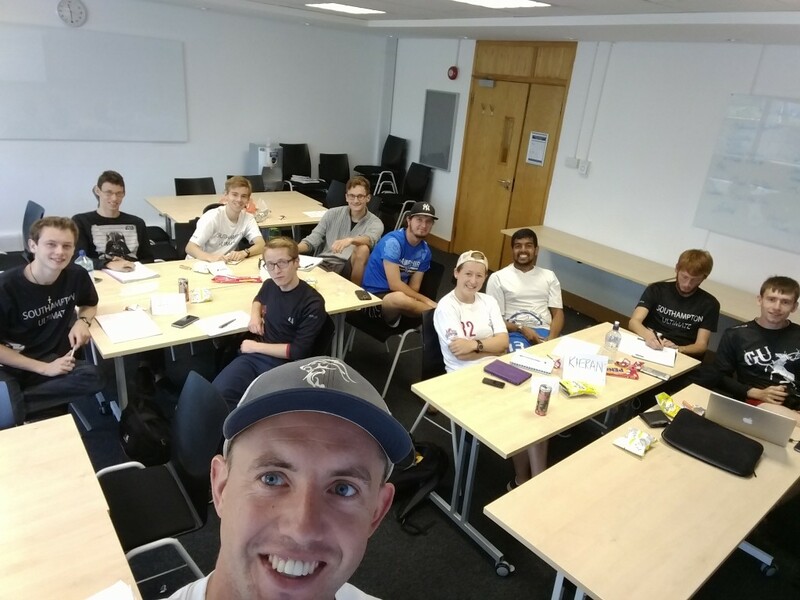 It was great to see so many Uni captains in particular taking the L1 coaching course, which I hope have a great positive impact on their teams. After the course I cycled towards the river Itchen which runs through Southampton, and noticed a group throwing an Ultrastar around on the green. 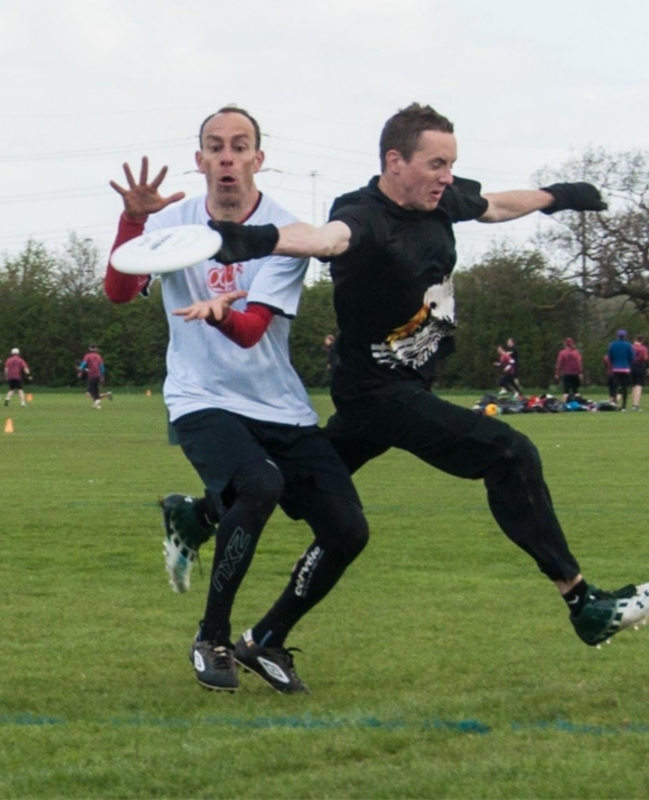 I joined in and met Mike – he played Ultimate at Bath Uni and could spot a fellow Ultimate player a mile away. He doesn’t play at the moment as unfortunately there isn’t a club in Southampton – hopefully in the future one will emerge, perhaps when alumni who remain in the city want to keep Ultimate in their lives. As I understand it, current club players from Southampton play for county-wide team Hampshire Ultimate. 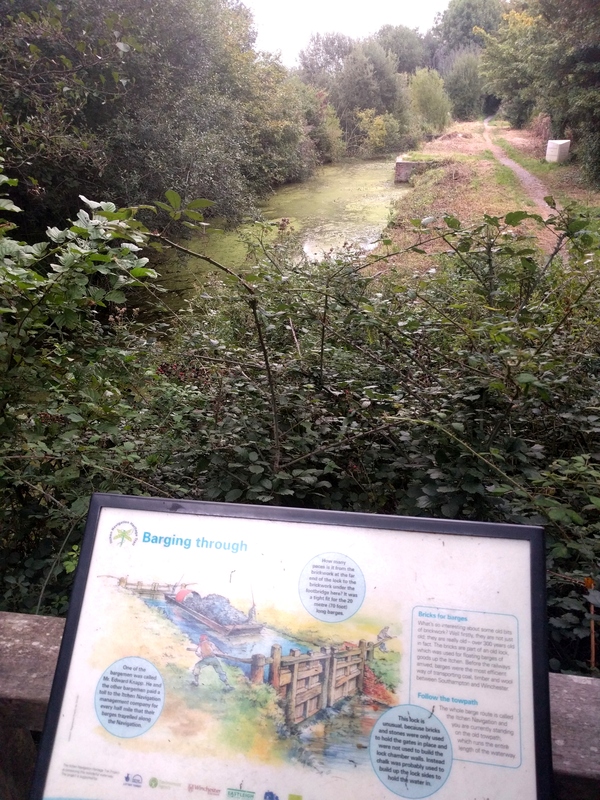 After a good throw, I headed along the river on my bike, going past a 300 year old lock. 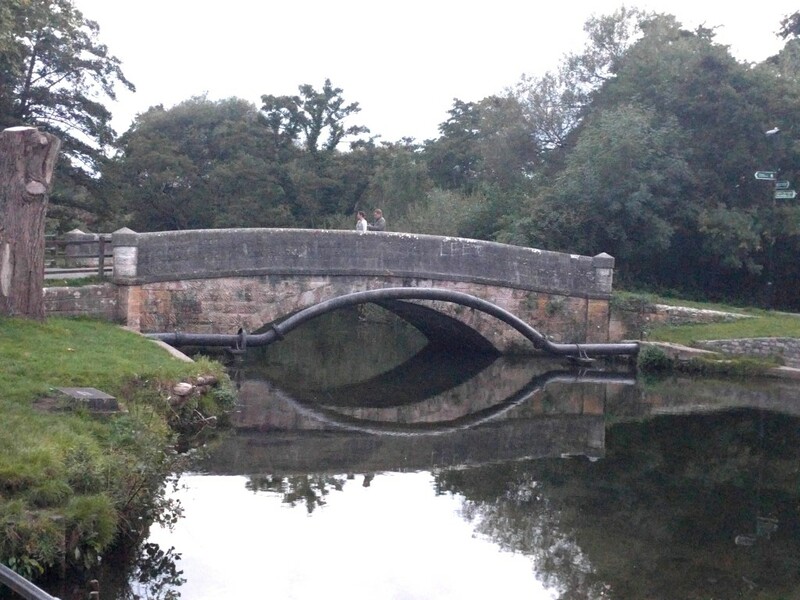 Barges on canals were the most efficient way to transport goods around the UK before railways. 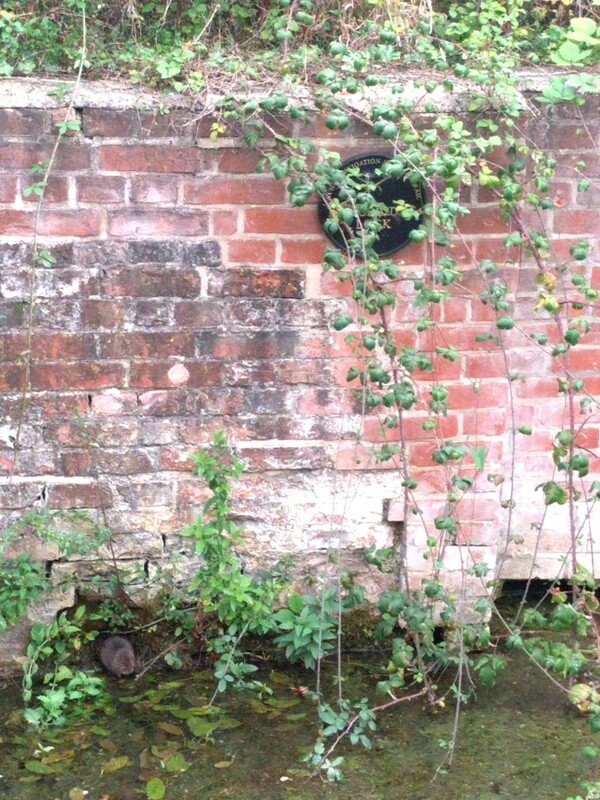 The plaque was covered by brambles. Can you find & name the animal? 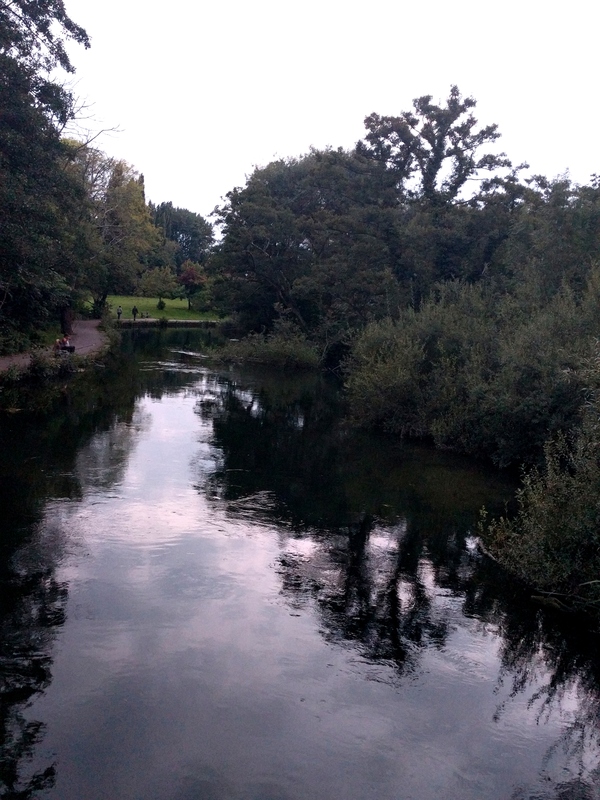 The paths along the river Itchen go all the way to Winchester. 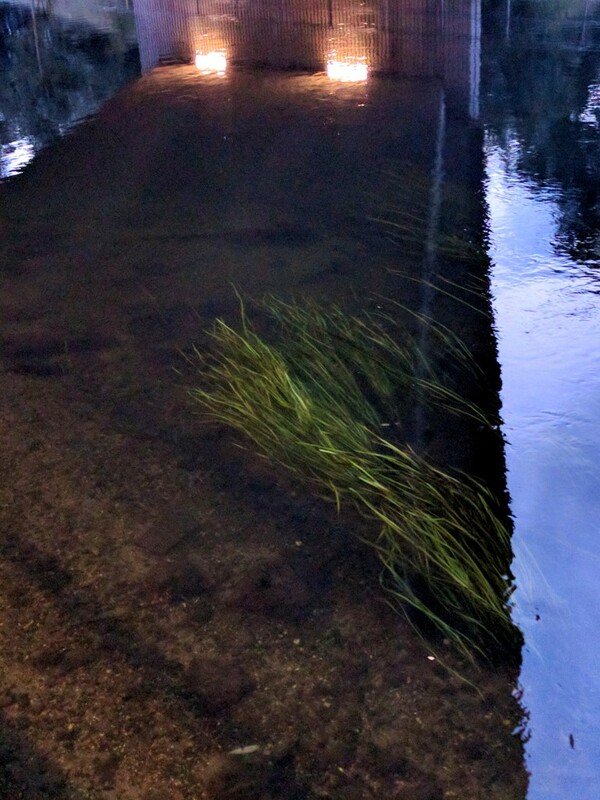 A bridge and a pipe-bridge. The water was very clear. 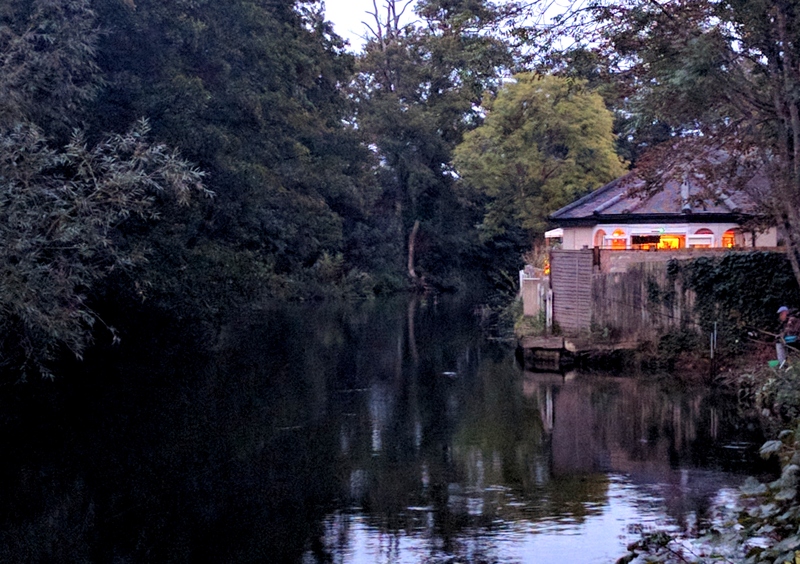 As day turned to night, I happened across a lovely riverside pub for dusk dinner. Next day at the Hex Clinic we had 10 attendees, all active Skunks players (Southampton Uni), with elements of Punt, Reading, Guildford and Hampshire. The theory session on Flex went really well, then we went outside into the sunshine and I tried out a couple of new Flex drills – the Skunks smashed them! In the Triangle-Sandwich Drill they were using both sandwiching and switching really well – next time I think I’ll start with a ‘no-switching’ rule before developing it into full sandwiching & switching, to make sure everyone is developing their sandwiching skills. 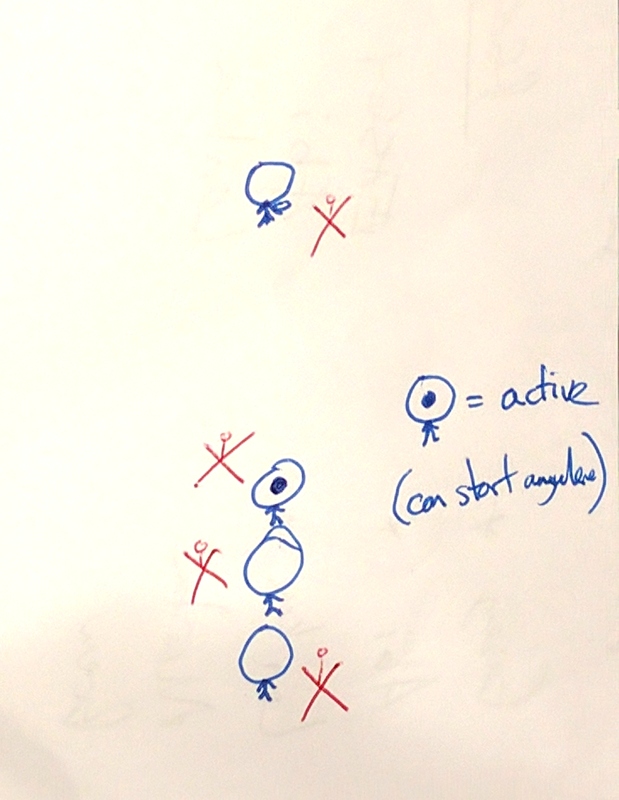 In the Switch Drill, where a 1v1 cutting situation plays out near a static O/D (who can only be activated by a ‘switch’ call from the active 1v1 D player), everyone was picking the right moments to switch (or stick), as well as closing down the newly-activated O player quickly to complete the switch. Next time I’ll add in another O/D pair to be activated and see what develops from that (switching in & out of sandwiches!). I’ll also take more photos of the outdoor frisbee stuff! It feels like some huge steps forward were taken at this weekend’s Hex Clinic. Finally we have some proper Flex drills! Plus the course material gets better and better with each Clinic. I’m excited to introduce the new drills to another group soon – possibly the next Hex Clinic will be in Exeter. If you’d like a Hex Clinic in your city & you can help with getting a venue, get in touch! 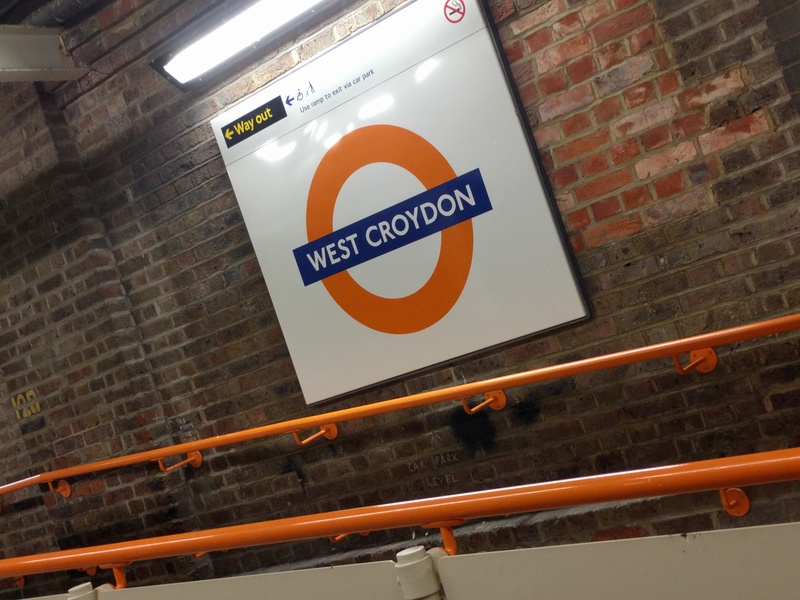 Train journey home on Sunday night took me to strange places (who ever thought there was a West Croydon?) 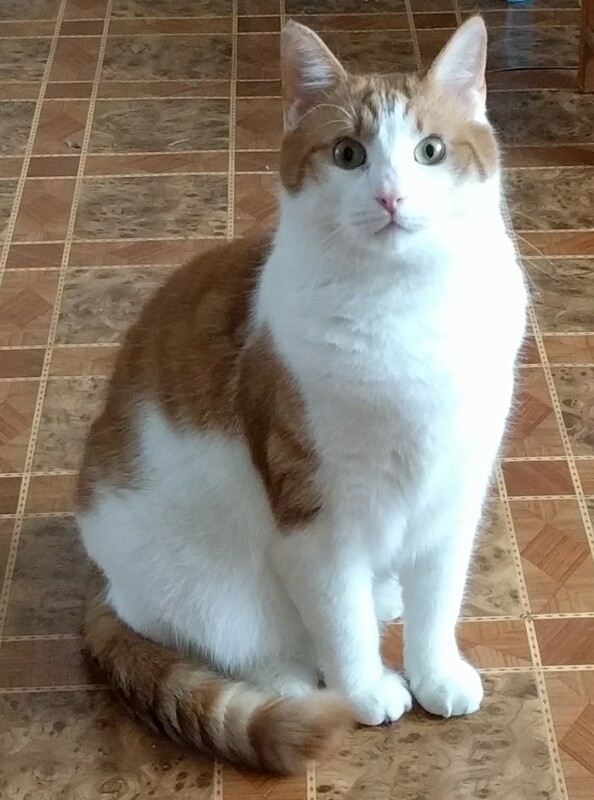 and lasted several hours – more than enough time to write this article. What are your thoughts on the hybrid Flexagon defence and flow-based Hex offence strategies? Or, if you’ve not heard about or seen them before, what’s your impression? it looks awesome. you’ve really gone to a lot of thinking through the pros/cons/strengths weaknesses. I really love the concepts and I can see the ‘why’ behind the what. which means you built it well. that said, my honest impression, if you’re asking… Generally I think your offensive and defensive concepts would break down as soon as you put 7 elite players on the field against them, whether offensively or defensively. Your O structure vs. zone is the closest to being great… It’s very very close to what many elite teams and players already do. 2 handlers, wings that spread the field, 3 downfield targets… So good job there. But your O against person to person D, not gonna work IMO, doesn’t create space well, elite defenders too smart at limiting options, pressuring teams into tough situations. Your D structure is basically Madison’s zone D look and IS very effective. 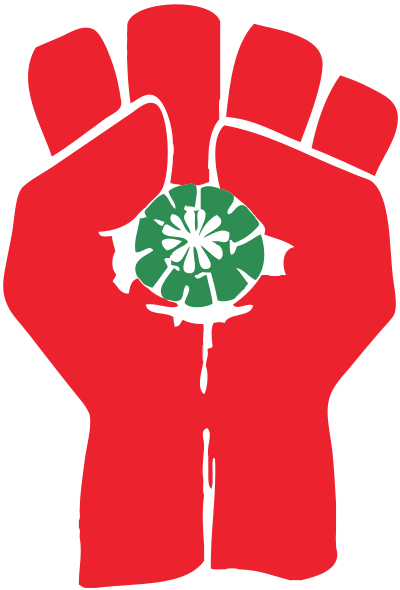 so, you might say… madison Radicals are sweet! look how far they got in AUDL! to which my counterpoint would be… go back and look how much of their zone they played against us (Cascades, all elite competent players) in the audl semi. it was not a lot… and my guess is because they suspected we could pick it apart, which we also did when we played madison earlier this year at US open. To be clear the beat us at US open, they played better and earned it, but they did not beat us specifically with their zone, i felt like we sliced it pretty well. In the AUDL semifinal they stimied us so well for most of that game… but it wasn’t their 232 zone look, it was rhythm distractions and flash poaches and double teams. They crushed us, had a great plan, eventually we figured it out and minimized our errors. In general, elite players pick apart zones or things that operate like zones. period. watch how much zone D you see in elite northamerican club. almost none (junk transition to man is not zone). So yea, there you go, hope that was what you were looking for… really looking forward to some back and forth here cuz I can tell you really think through the game well and have some ideas that could really push the boundaries of the sport, and I really appreciate what you do with all the info you put out and the leading you do. would love to collab sometime. Hey Mario, thanks for the thorough response! Also keen for some back and forth and potential collab in the future. I’d say Flex is more like a junk transition to smart man, than a zone. Recently when explaining it I’ve been playing down the 2-3-2 structure as it’s not applicable in the majority of situations – positions are entirely dependant upon how the offense are positioned. 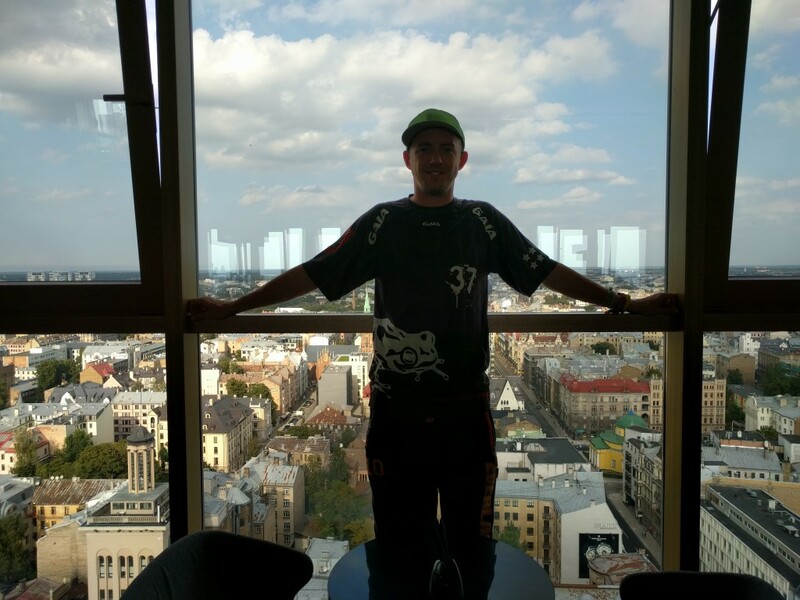 Flex is like hard person-D where you’re also heads-up and constantly looking for switches and sandwiches – all of your team is, all the time – and communicating about it non-stop. I feel this type of defence hasn’t been explored anywhere near as much it could be, or as much as it deserves to be – so even elite players picking it up would have to train ‘the basics’: dynamic sandwiching, pre-emptive switching, verbal & non-verbal communication – before they could start to reach their potential as a team. Perhaps players and coaches shy away from principle-based strategies because they are less black & white than rule-based strategies (don’t get broken, don’t get beaten open side), so harder to break down & give definitive analysis/feedback? Or perhaps they simply haven’t been explored yet because the time hasn’t come. What if an elite team was playing (well-trained) Flex against an elite offence? Switches and sandwiches, when done right, advantage the defence and disadvantage the offence. The elite O would need to position and move in such a way that doesn’t allow the elite Flex D to switch or sandwich, so that they keep sente / the advantage. 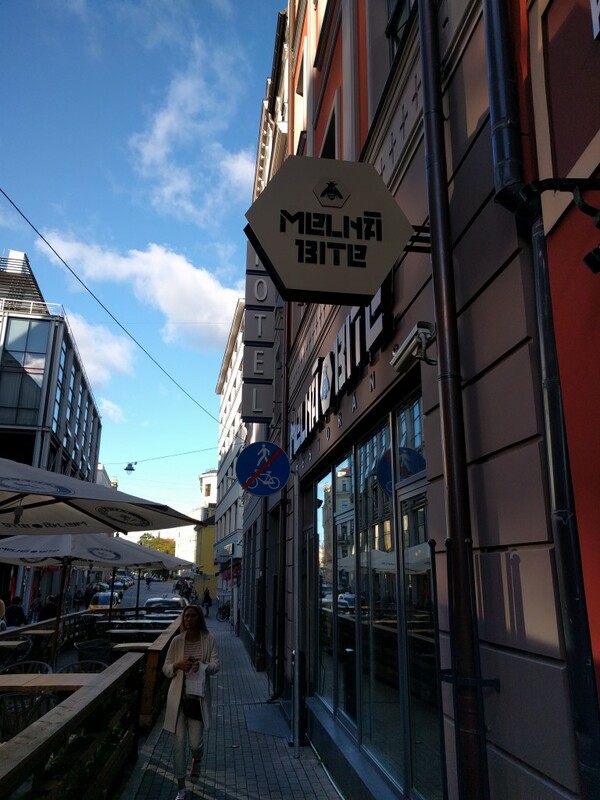 This is where I believe Mex offence comes in – the answer to the question nobody asked (yet)! If both teams are elite/ideal, then offence always wins. At a high level, Mex isn’t needed, as I agree stack offences work out fine against person-D or junk transition, and zones can be picked apart if the teams are balanced – so my focus has switched to defence in recent months. For beginners and developing players though, the maximised options and opportunities in Mex open up far more of the game than stack offences. 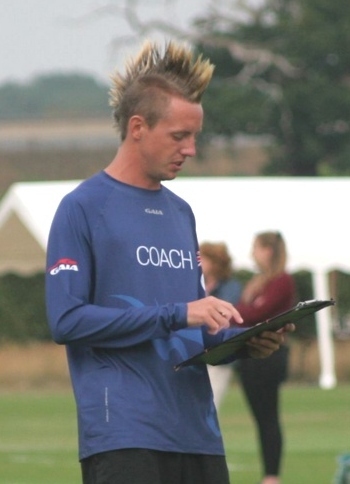 Being presented with so many options means players decision-making, knowledge of their own skillset, field vision and far more are constantly tested, and they have a greater number of opportunities, both on and off-disc, to get involved & make a difference in the game on their own terms – so they learn & develop much faster. Anyway, Mex is currently a nice theory but kinda unprovable, so I try to avoid going on about it too much. The ‘rhythm distractions’ and ‘flash poaches’ you speak of sound a lot like Flex – how a defence should change throughout the course of the stall count is another area I’m exploring (dictating the tempo), and when defenders should choose to switch unexpectedly (could be ‘flash poaching’). Interested to hear your thoughts about any/all of this! overall yea it all sounds like it could work, just a matter of refining and testing it. I’m a true believer in the idea of ‘anything strategically can work if everyone’s on the same and it’s executed well’. Just gotta keep self-evolving as much as possible. In general my idea on switching/sandwiching is that it can and does work, situationally, but defenses that get overly switchy are too risky and against smart cutters and great handlers/throwers… you’re setting yourself up for 1 throw that breaks the ice and then never catching up. Fact: most top elite handlers break any mark they want, even the best marks, so if you blow a switch and leave someone open for a split second, they get the disc and boom everyone’s scrambling to catch up… and if you switch at the wrong time when the thrower’s mark is out of position, it’s several easy throws in a row. Re: the “ice-breaker throw” and the offensive flow that follows it – I’m starting to figure out some of the root causes behind flow, and I believe the Flex principles counter a good number of them. When a poaching defender is not actively marking a player (or sandwiching 2v2/3v3 etc), they are giving other defenders false signals – indications by their positioning that they could switch / sandwich, but these signals are a trap. 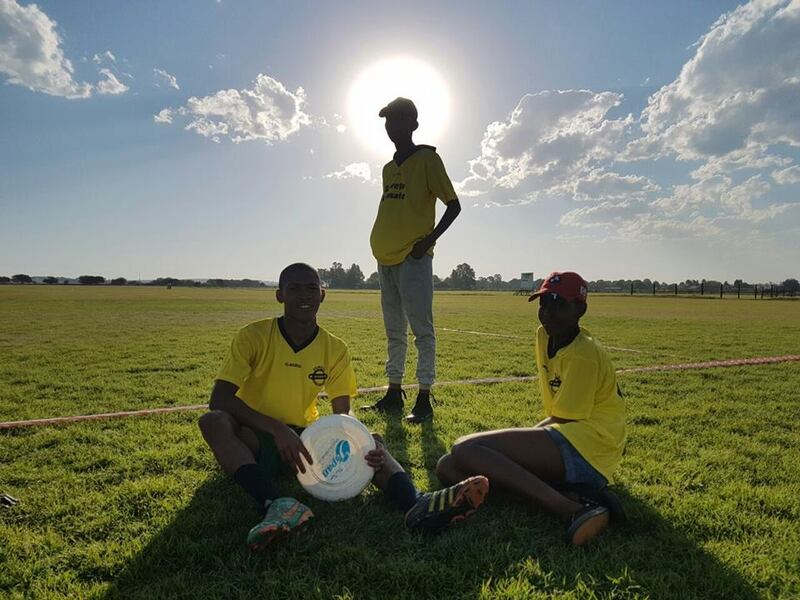 If a team mate trusts the poacher with a switch / sandwich (due to a lack of communication) and then the poached player receives the disc, the conned team mate is now in a very bad position. 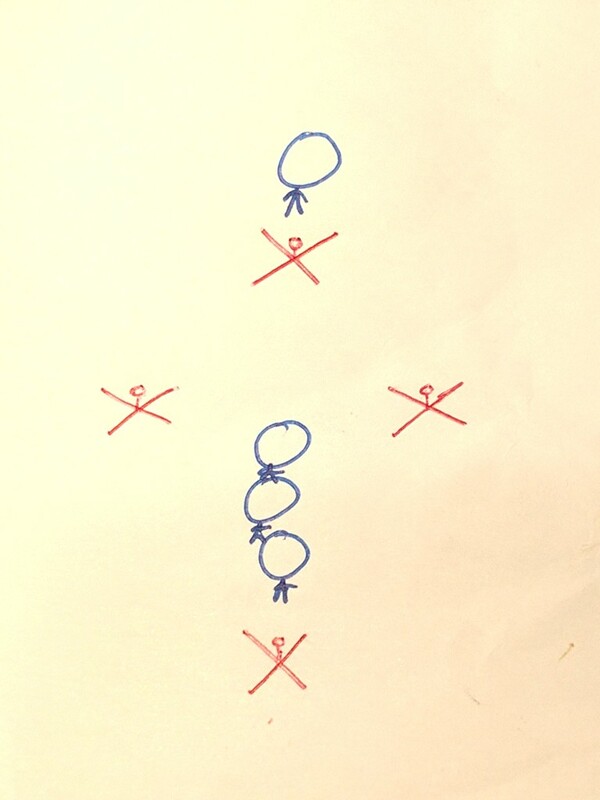 Whilst the poacher goes to put the force on, the offence can easily initiate flow with the free player who was originally being marked by the conned team mate – 2v1 around the poacher. The Flex principle “cover all offensive players as a team” discourages poaching, so makes the ‘ice-breaker’ throw – or at least the following flow – less likely. When everyone is on the same page and sticking to the principles, the situation feels under control and the pressure builds repeatedly (with every stall count). TLDR; if one player in Flex poaches and doesn’t communicate, the ‘ice-breaker’ throw is likely to happen and flow to be initiated. However, if all defenders stick to the 3rd principle [ cover all offensive players as a team ], then flow has to be initiated by a different defensive error – or just good offensive play. I’m finding out more about these different defensive errors & good offensive plays each time I play Flex with a team who are all on the same page, and it’s good fun! sweet. can’t wait to play against it 😉 or play in it sometime! Chatting to Mario helped me clarify my thoughts on & for the first time verbalise how poaching causes the progressive collapse of Flex D. I’ve now incorporated this specific example into the Flex theory clinic – it now feels like there is a frame in place, and we’re no longer fumbling in the dark trying to figure out & define ‘smart defence’; we’re working out what fills the frame & where the holes are. The task for the first time feels relatively finite. 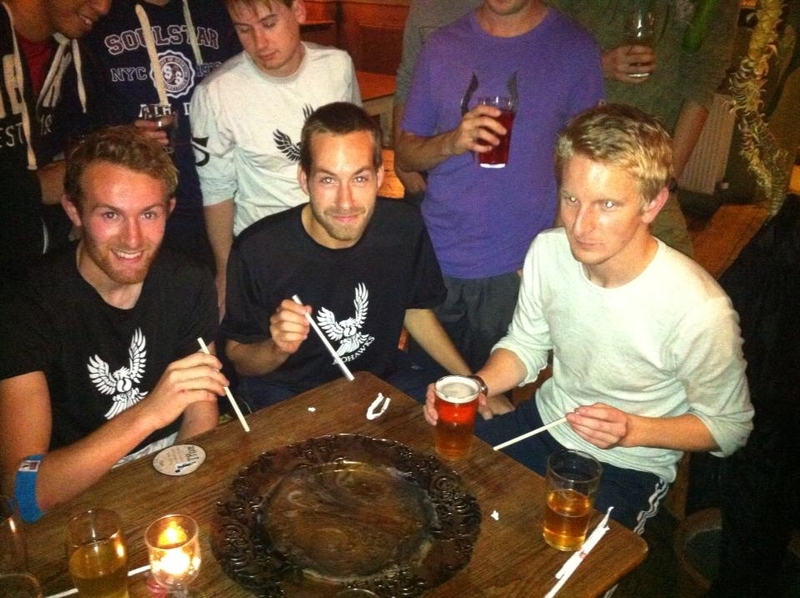 I’ve got a lot of time for Sockeye – I hung out with them a little in Prague during WUCC 2010, I love a team that knows how to play hard, party, and isn’t afraid to innovate on the field and openly discuss new strategies and tactics. 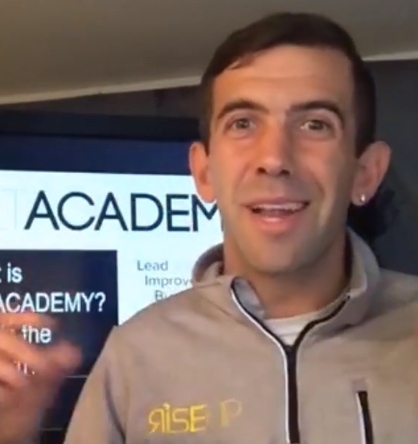 To read Mario’s full AMA click here, and be sure to check out his new ULTACADEMY project. 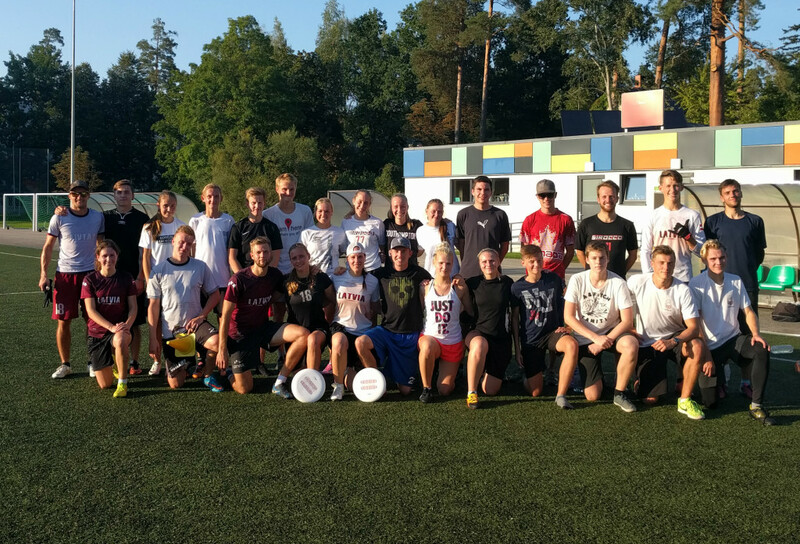 Last week I was in Latvia, delivering a Hexagon Ultimate Clinic. 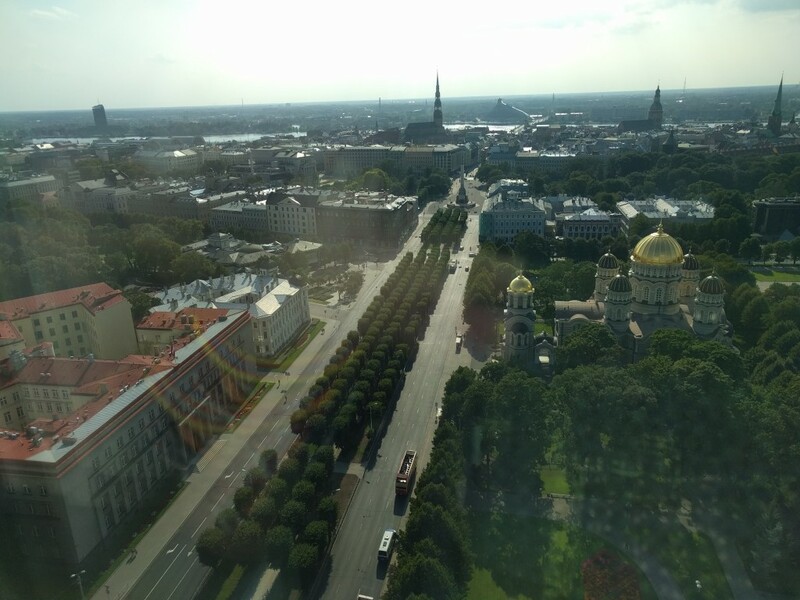 I was staying in Riga, which has a mix of modern and old orthodox-style architecture in the centre, whilst the suburban landscape is dominated by the huge Soviet-era accommodation buildings often seen in the Baltic states. 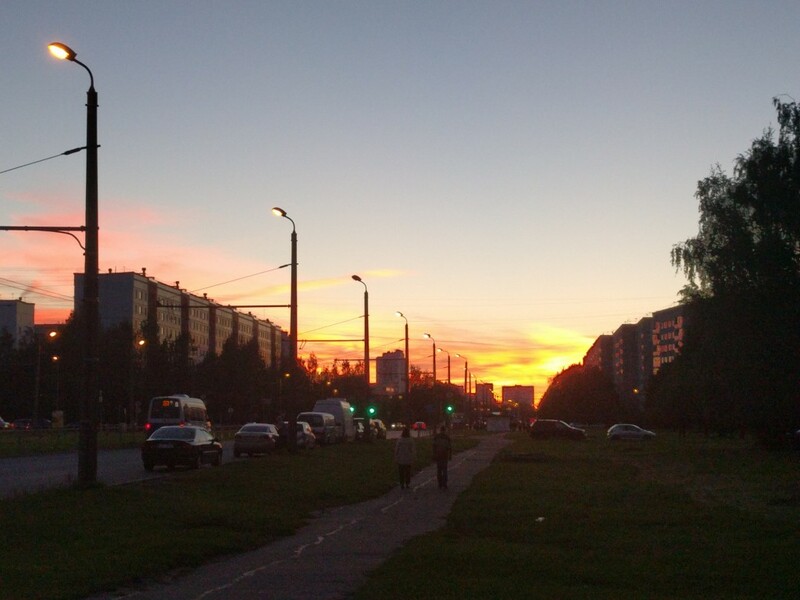 There are no houses near the city – everybody lives in these huge (9 or 12 storey, and very wide) blocks of flats, where it is traditional to stay up late sitting in the kitchen drinking vodka and chatting about life, politics, philosophy, and everything in-between. 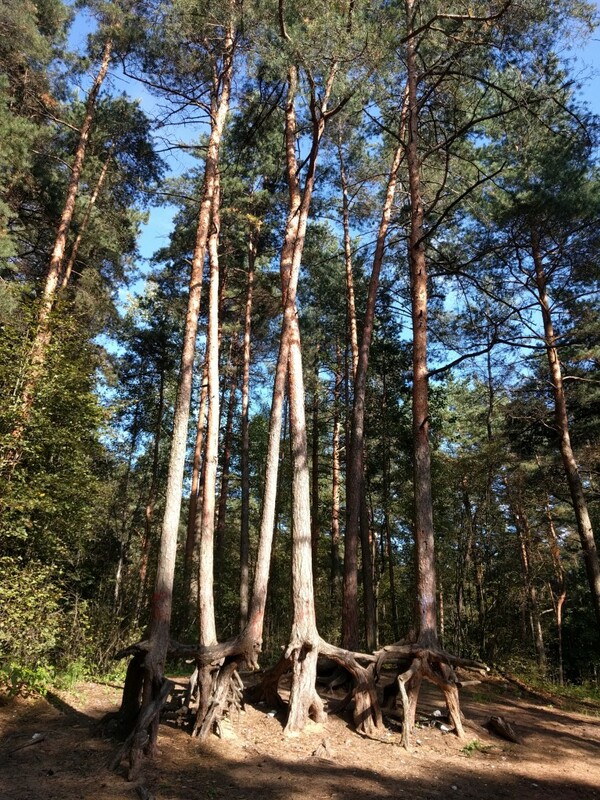 Pine trees just outside the suburbs. Easy to get lost in after sunset! Just outside the city limits are huge pine tree forests, which are perfectly suited for night time gatherings, as groups head out before the sun goes down to find one of the countless nice spots for a fire – the undulating terrain creating picturesque and unique areas for dozens of groups each a few dozen yards away from each other. 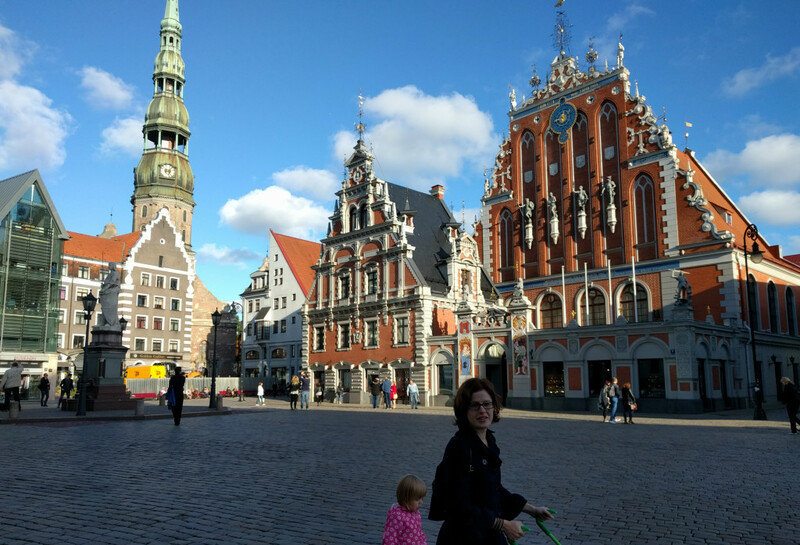 On Saturday I travelled to Ogre, the geographic centre of Latvia, to deliver a 7-hour clinic on Hex strategies. 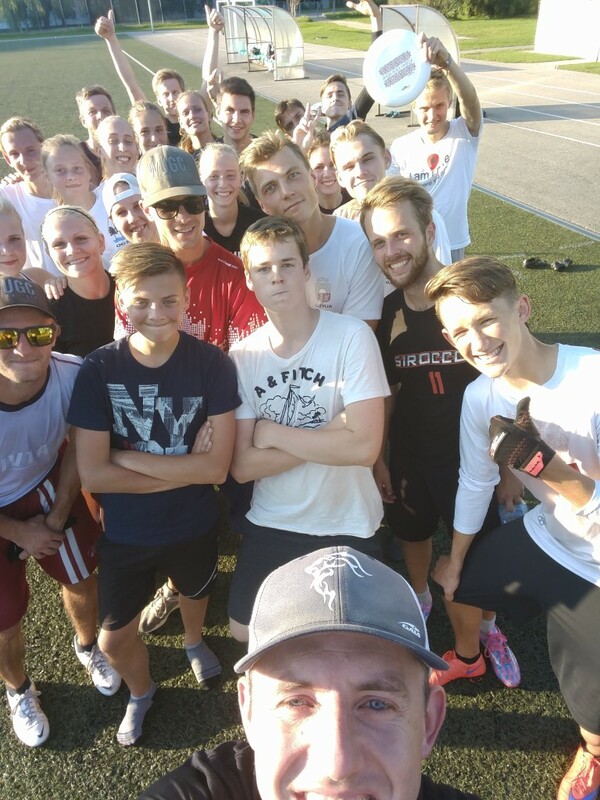 30 players from all over Latvia attended, 1/3rd of them were juniors, gender was split 50-50, and they came from 8 teams from all over the country – from the coast with the Baltic Sea on the East, to the border with Russia on the west. 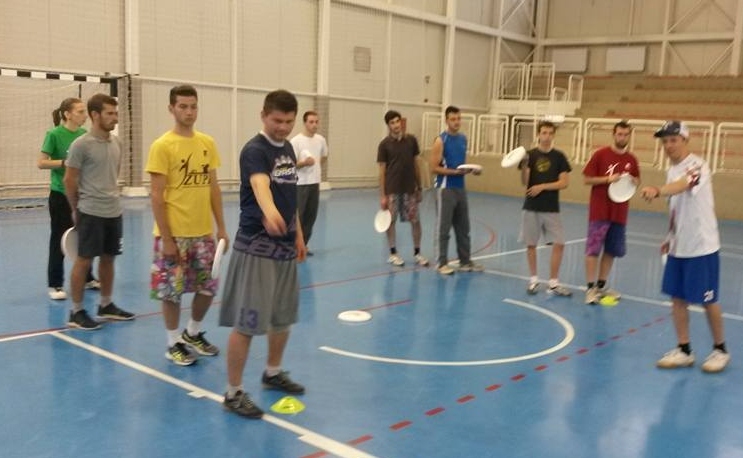 Indoors is the preferred division in Latvia – with 12 men’s and 4 women’s teams competing. 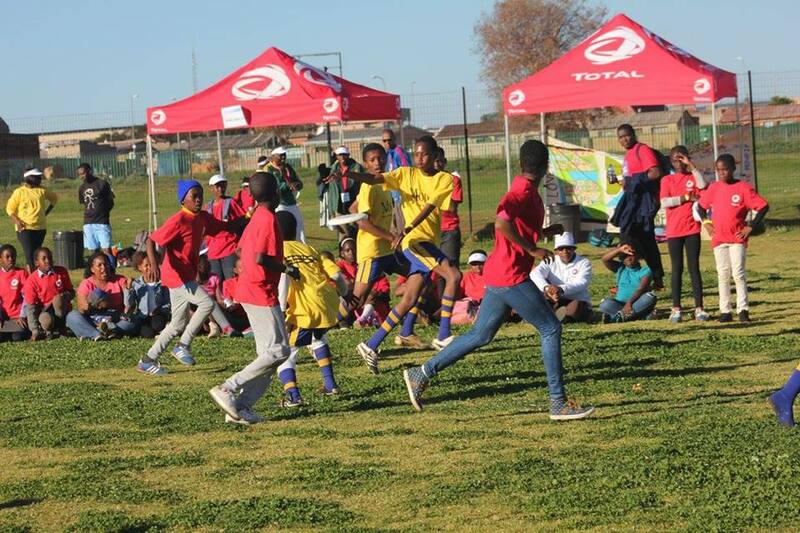 For outdoors, there are about 8 men’s teams and ~5 women’s teams. 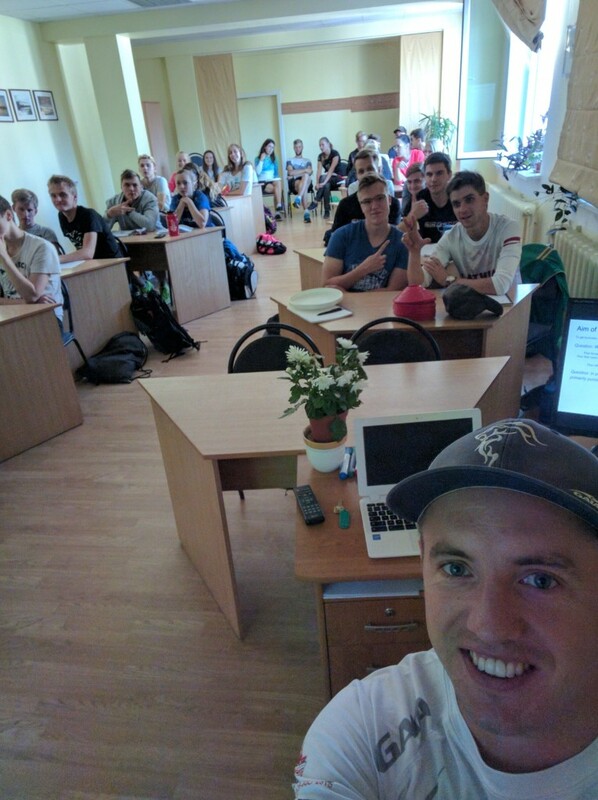 The spread of experience at the clinic was great – some players had been playing one year, some fifteen – but they all helped each other to understand the new concepts being discussed, and everybody I spoke to felt like they got something valuable out of the clinic. When learning Flex, sandwiching players was new to some and uncommon to others, but I saw plenty of it happening during the game, and I noticed a few pro-active (not reactive) switches in there too. We had less time to play Mex Offence, and split the group into two games based on ability/experience – simply having all these players together in the same place, at the same time, playing alongside each other as team mates rather than opponents was quite a new experience for all of the attendees, as inter-team mingling does not happen so much in Latvia. 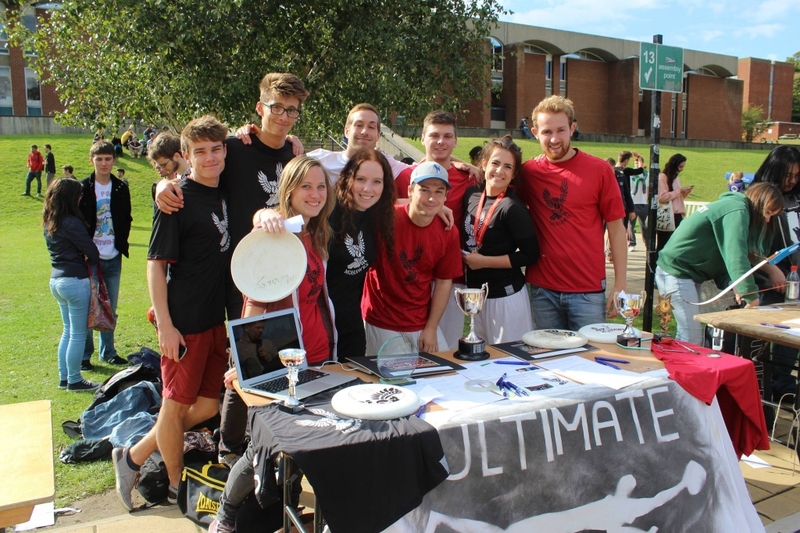 I hope some connections were made or strengthened between the teams present, and that the new ideas are spread by the attending players when they return to their clubs – maybe we will see some hex elements incorporated into Latvian Ultimate in the years to come, as the next generation players mature and explore the various facets of the strategies for themselves! 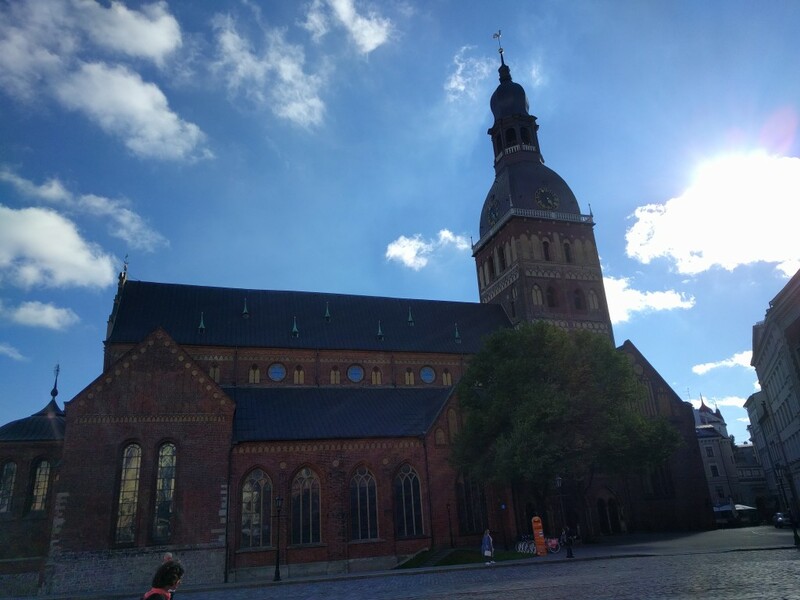 Set plays are very popular in Latvia, with vertical stack being the dominant offensive strategy played outdoors, and a lot of focus put on athleticism to beat your mark to the open side. 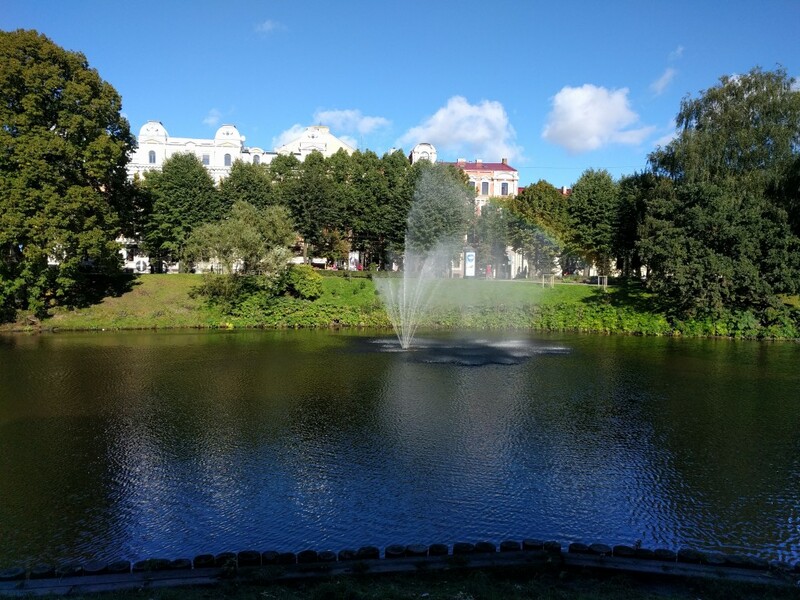 Hopefully the principles of Hex style Ultimate will add a new dimension to the Latvian style, or at least an interesting alternative. 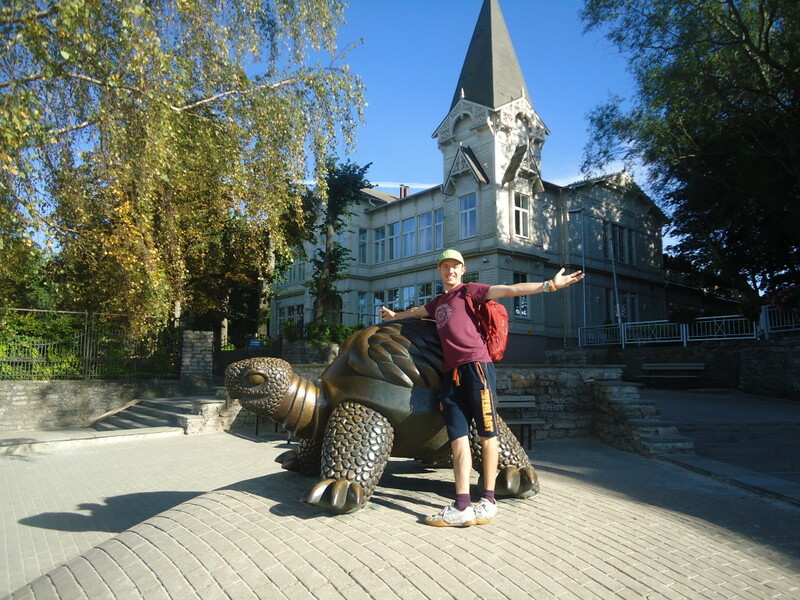 Big thanks to Edgars Dimpers, a Latvian who has been playing in Brighton for the last 8 years and did a full translation of the classroom material, and to Jekabs and Ogre Ultimate for booking the venue and hosting the clinic, and to the players from all the clubs who attended: Sirocco Ultimate, Ultimate Decision, KCN Riga, Valimera, Ventspils VFK, Nightwatch / Moments OFK, Salaspils WT / JR, and Flying Worms VFK.